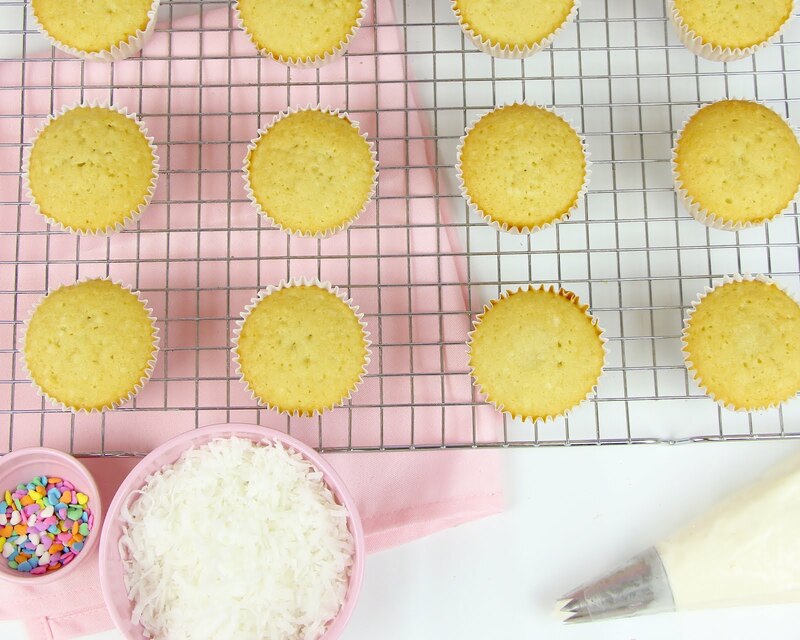 Ultra light, fluffy coconut cupcakes with a hint of sweet vanilla and loaded with coconut flavor. 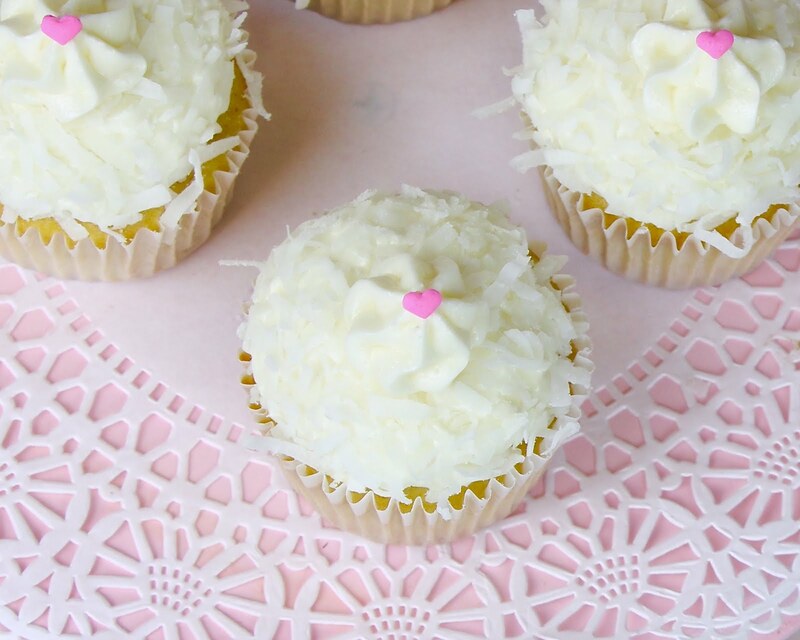 They are topped with a smooth coconut cream cheese frosting and all finished off with sweetened shredded coconut. 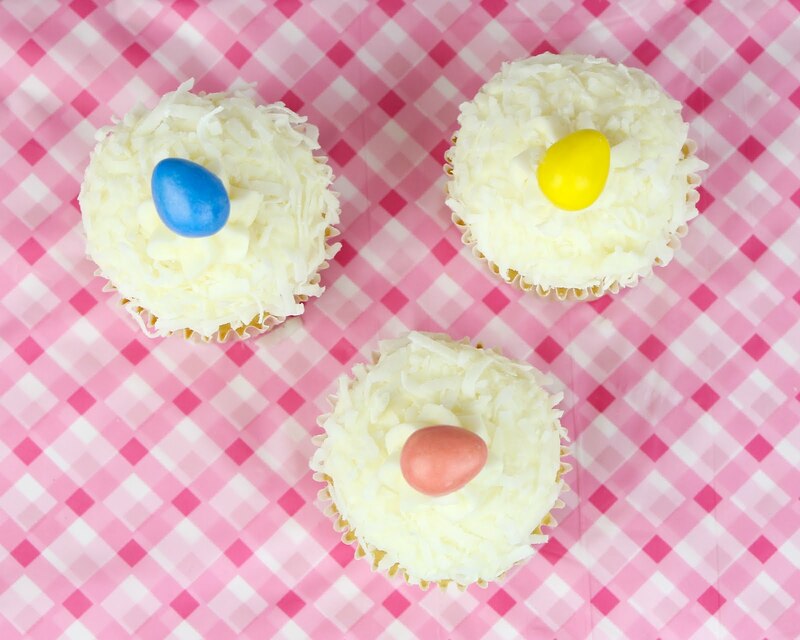 These also make a perfect cupcake for Easter, too! 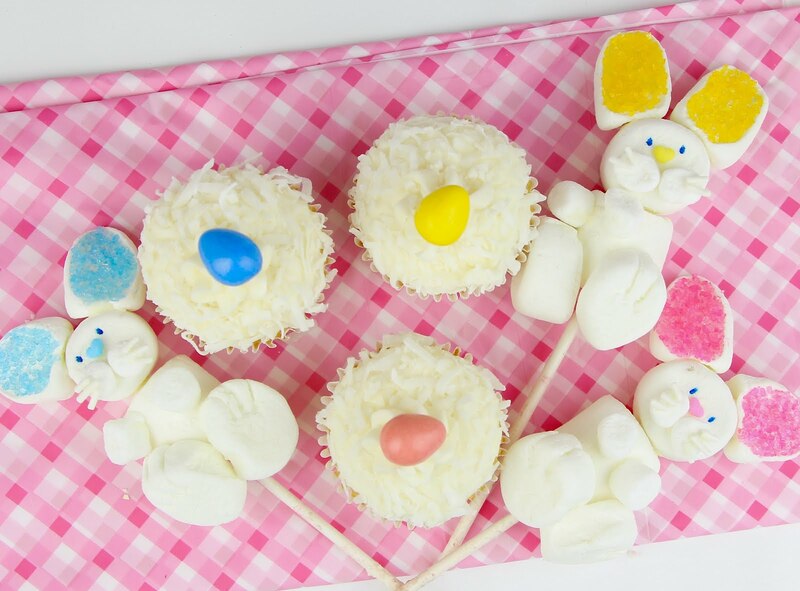 Just top them with a little chocolate egg or jelly bean, for a fun and festive treat. 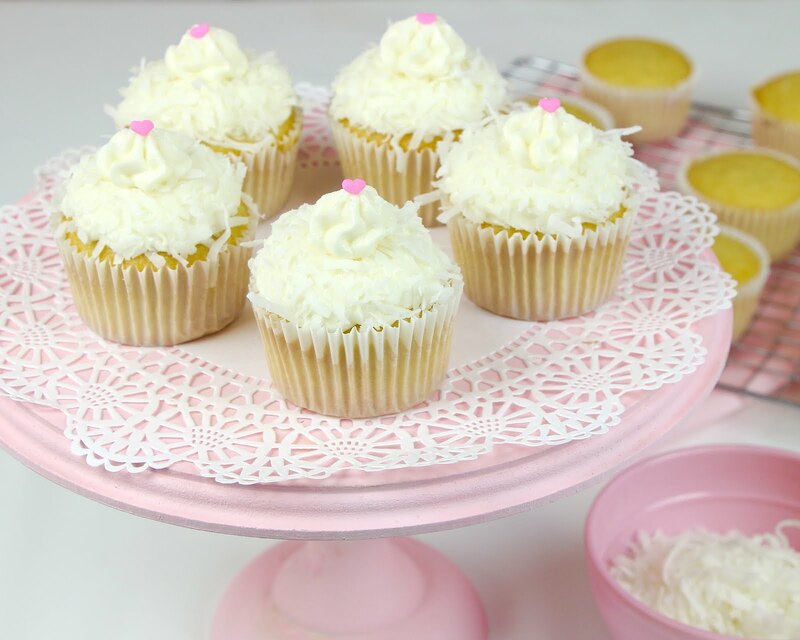 I started with my favorite vanilla cupcakes recipe as the base, but substituted the sour cream with coconut milk and added real shredded coconut, in addition to some coconut extract, to add an extra dimension of coconut flavor. 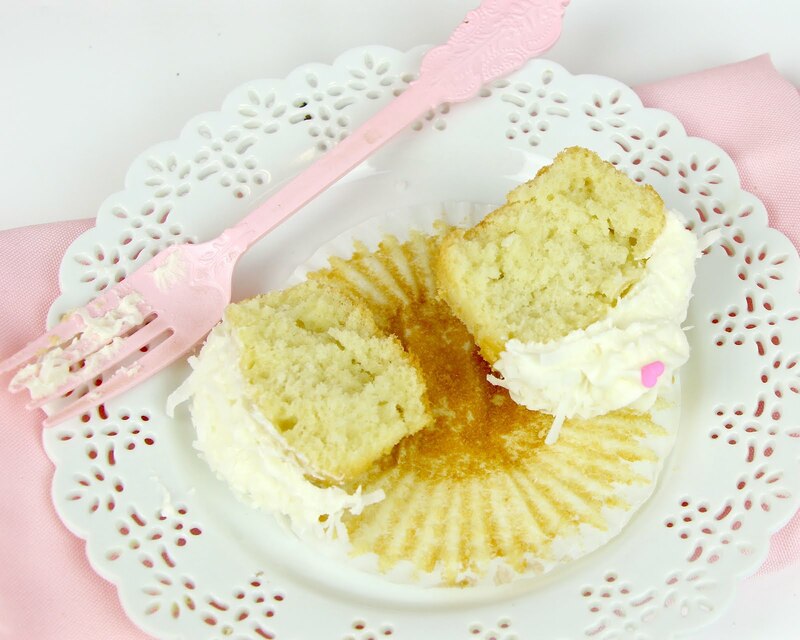 I also used an extra egg white instead of an extra yolk, to make these cupcakes super light and airy so they practically melt in your mouth. 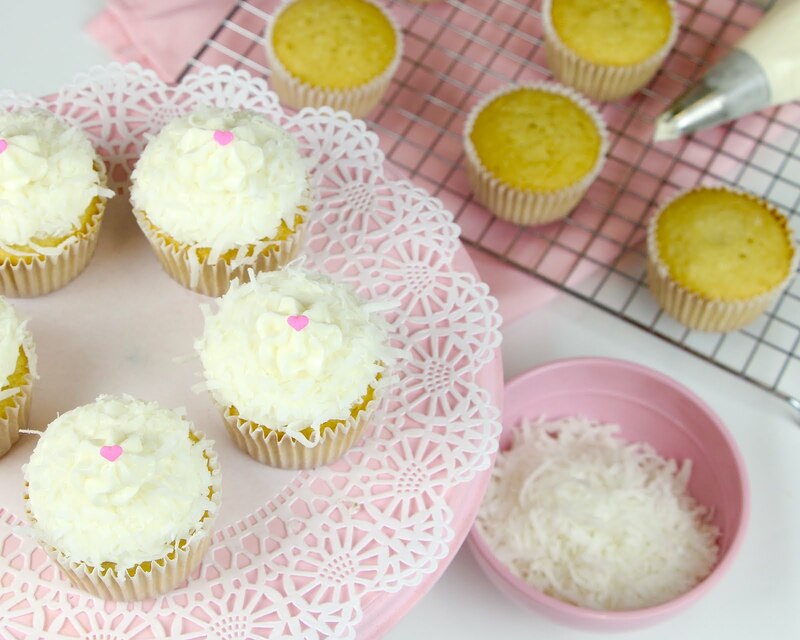 I topped them with my favorite cream cheese frosting that I added a hint of coconut flavor to, to really make these cupcakes perfect for the ultimate coconut lover. I've also used these to make the cutest Easter cupcakes ever using chocolate eggs or by rolling them in toasted coconut and adding some chocolate eggs on top. 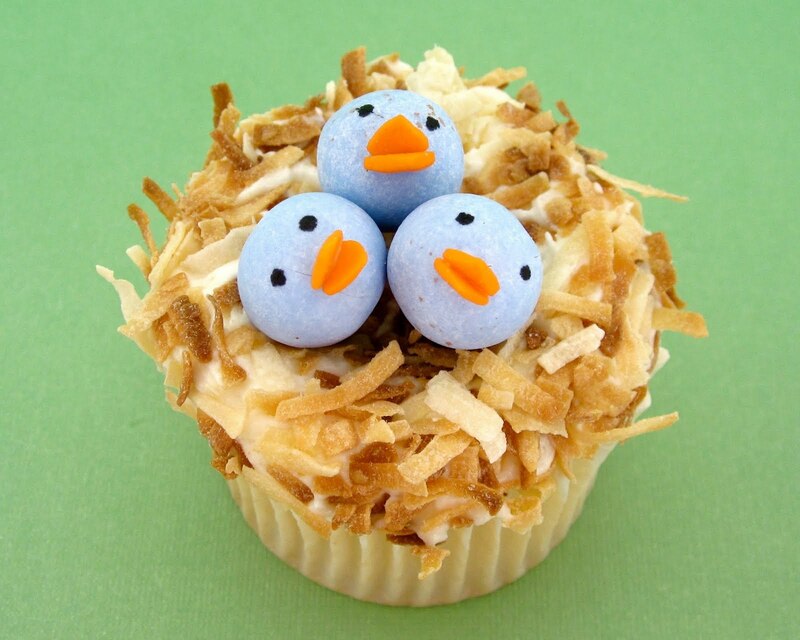 Two sprinkles for a beak and a dot of food coloring for the eyes and you have adorable baby bird cupcakes! 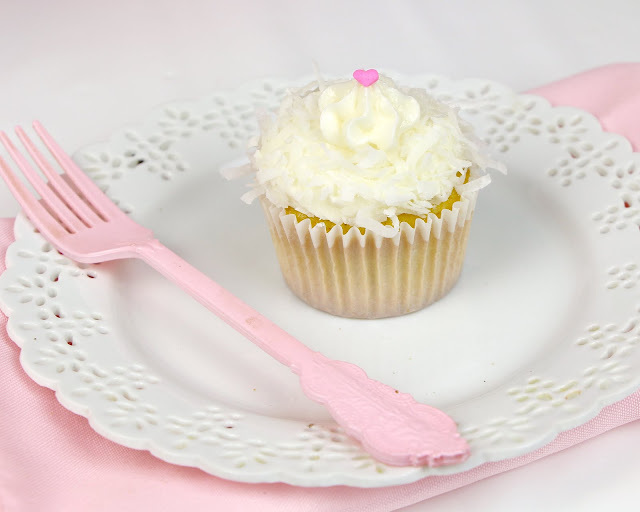 Pulse coconut in a food processor until finely ground. 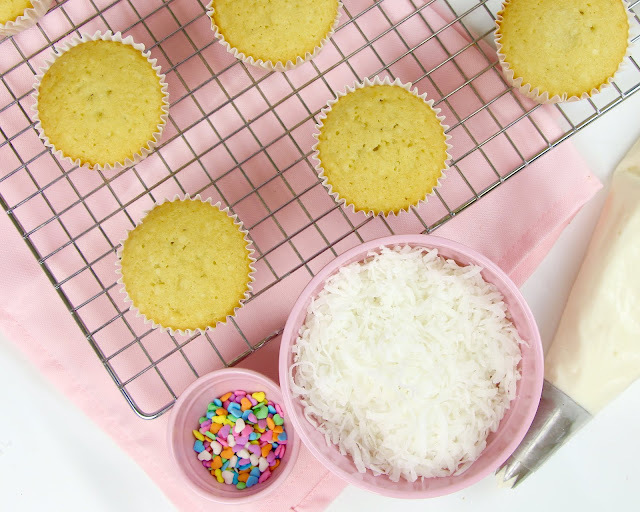 With an electric mixer, beat together the ground coconut, cake flour, sugar, baking powder, baking soda, and salt on low speed for about 20 seconds. 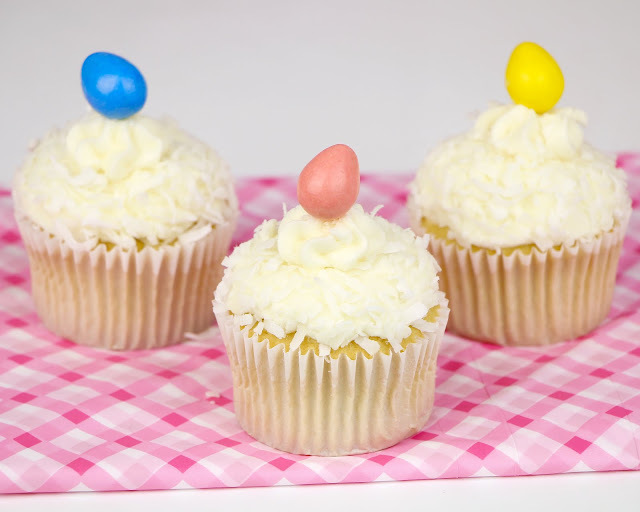 Add softened butter and oil and mix for about 1-2 minutes to coat the flour, until mixture resembles wet sand. In a small bowl, whisk together egg white, egg, vanilla, coconut flavor and coconut milk until smooth. Slowly add the wet mixture on low speed. Scrape down bottom and sides of bowl. 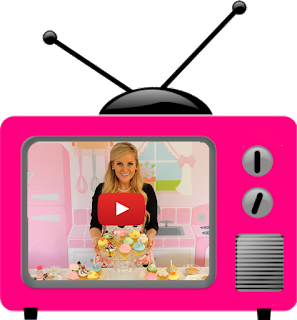 Increase to medium speed and beat for about 1 minute until batter is smooth. With an electric mixer, beat the softened butter on medium-high speed until light and creamy, about 2-3 minutes. 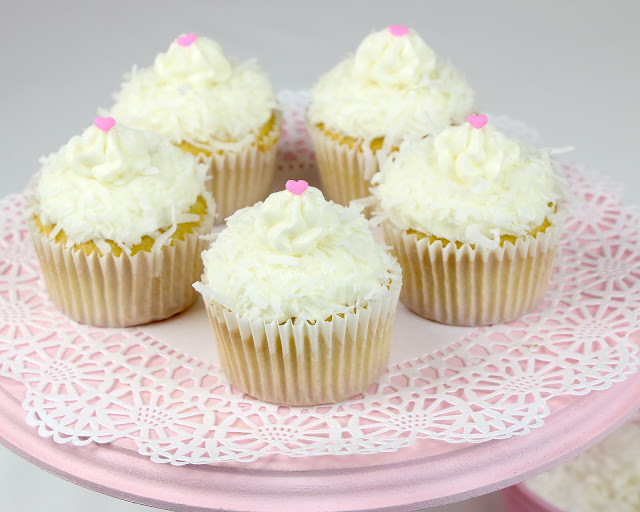 Beat in cream cheese, vanilla and coconut flavor until smooth (make sure it is at room temperature so you don't get any lumps in your frosting). Add powdered sugar, 1 cup at a time on low speed, until fully incorporated. Scrape down bottom and sides of bowl. Increase to medium-high speed and beat for an additional 2-3 minutes until smooth and creamy. Frost cooled cupcakes and roll in bowl of shredded coconut.